Apple has unveiled the latest beta for iOS 7 called beta 5. 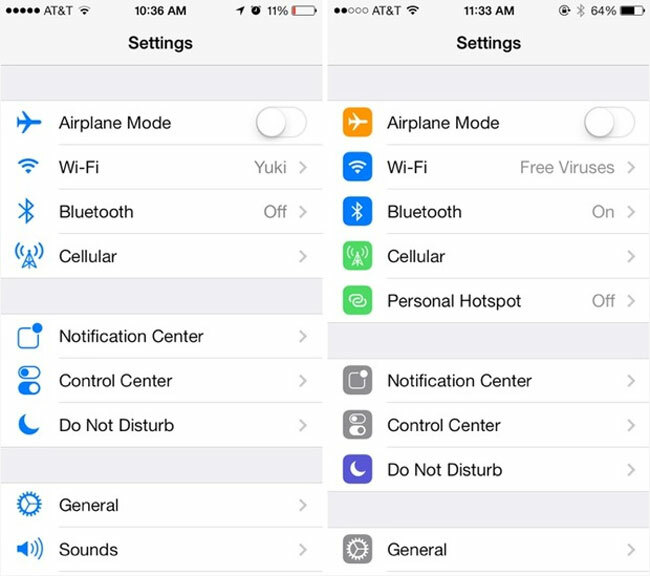 The new beta brings with it revised settings, control center, and messages. Beta 5 has been unveiled only eight days after beta 4 rolled out. Anyone who used beta 4 might recall that there were a couple of issues with that release. Beta 4 had a flaw that prevented Skype and Google Plus from opening. Beta 5 is labeled build 11A4449a and features an overhauled Settings application with colored icons. You can see these new colored icons in the photo on the right above. Other changes with the new beta include an updated Control Center setting allowing the feature to be turned off while in apps. That prevents the Control Center from being opened accidentally when dragging up from the bottom and now. I’d wager just about anyone who plays games has been frustrated by the Control Center opening accidentally.